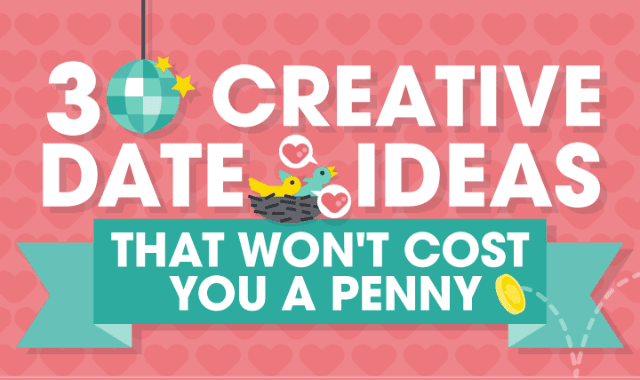 30 Creative Date Ideas That Won’t Cost You a Penny #Infographic ~ Visualistan '+g+"
We've all been there: you are about to go on a date, but you're either out of cash or out of ideas. Well, worry not - help is at hand! Have a look!